Aggressive Chill are Mikael Willy Wilhelmsson – Lead Vocals , Guitar Robert Ottoson – Bass Per Bjelovuk – Drums Andreas Ohlsson – Lead Guitar and formed in Strömstad, Sweden 2003. After a bunch of live gigs and a couple of demotapes, they entered Bohus Sound Studios 2007 to record their selftitled debutalbum with Grammy award winning producer Tobias Lindell. The album was mastered in New York by Vlado Meller. 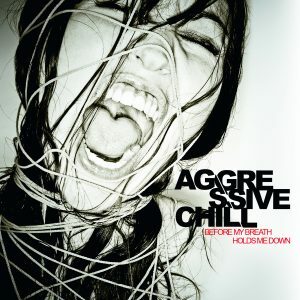 After the release in May -08, Aggressive Chill appeared in TV, radio and magazines for heavy promotion. With great album reviews and amazing feedback from their liveshows. In Oct 2009 the second album ” Destination 7734″ was released and follow by tours as supportact to Mustasch, Europe and Lillasyster 2009/2010, as well as playing Festivals. In spring 2011 they released a new single ” Tie Down” produced by Patrik Frisk ( Corroded, Plan Three, Takida). “Hold My Breath” the debut single release for Aggressive Chill, previously reached number 2 in the Swedish rock charts. Rock / metal quartet from Stromstad (although nowadays 50 percent from Örebro) has done a wonderful Heavy, sturdy yet swinging and grunge smelling album.It feels like they on their third album has found “their sound.” It sounds complete, consistent, and very, very agreeable. Michael “Willy” Wilhelmsson (vocals and guitar) has an interesting voice that shifts in intensity and strength and are captivating whole disc through. Althrough the songs and musically the band manage to keep the excitement alive and all rendered with emotion-filled elegance, attitude and evocative brutality. Fourth track “Hold My Breath” broke in March directly on second place on Itunes Swedish rock list during its first day. It is one of many great songs. Do not miss “7 inch”, “Snake”, “Chemical” and “Before the plunge.” May this line up with Per Bjelovuk on drums, Andreas Ohlsson on guitar and Robert Ottoson on bass last – for what they have together is verging The magic!